It’s time for a new sketch at Freshly Made Sketches. 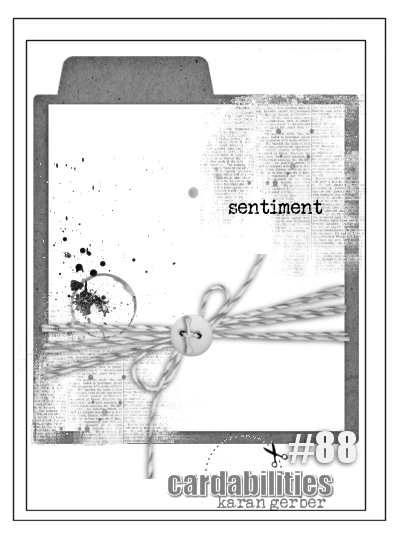 Our sketch hostess this week is the very talented and creator of beautiful cards – Jen Mitchell. 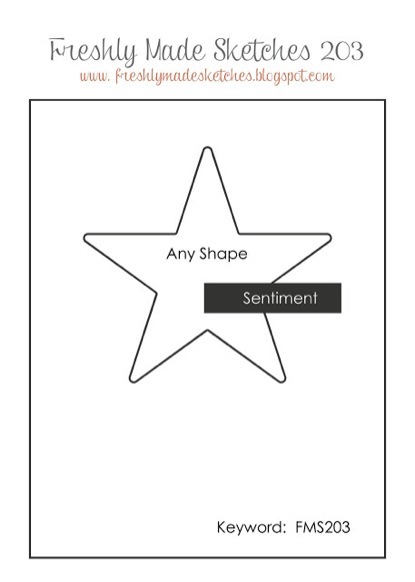 When I first saw this sketch I knew straight away that I wanted to go with a shaker card – a shimmery shaker card. 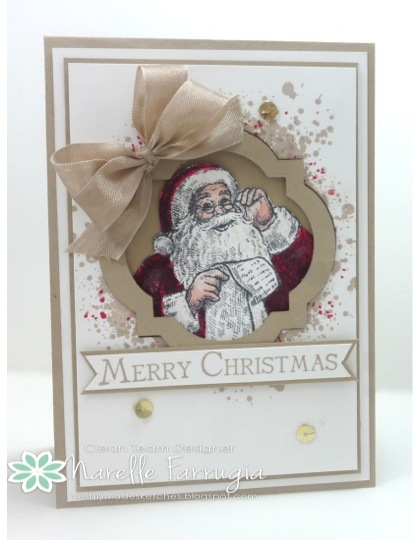 As I’m determined not to get behind with my Christmas cards, I used this weeks sketch to add to my stash. 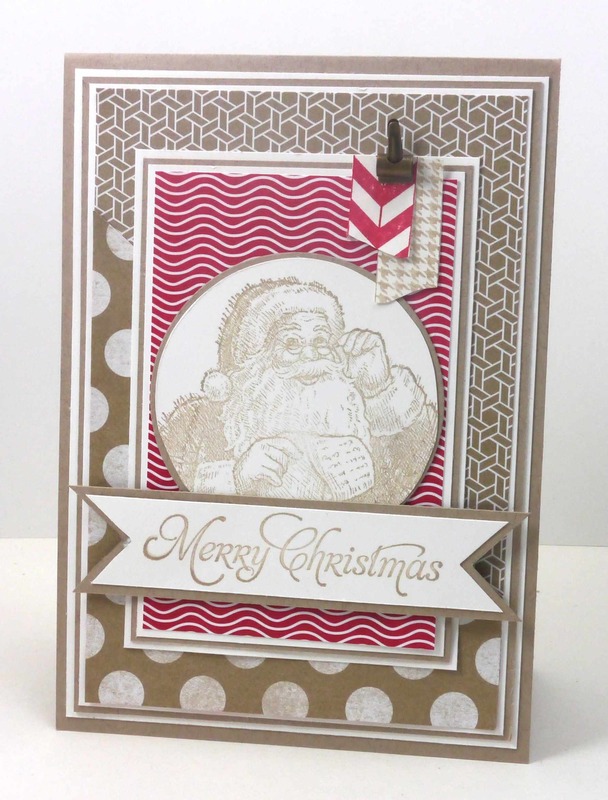 The image I’ve used is a retired Stampin’ Up! set called Santa’s List and the baubles are from Jolly Bingo Bits (also retired). As always our team has created wonderful inspiration for you. 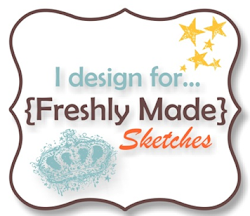 Head over to Freshly Made Sketches and check them out. We would love for you to join us with our challenge. 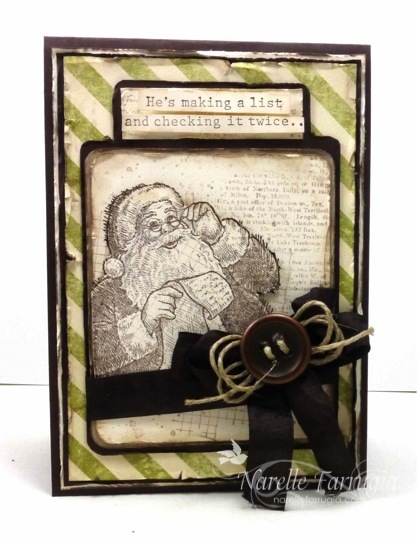 This week at Freshly Made Sketches, Cindy has designed this fabulous sketch. I can’t wait to see how you interpret it! 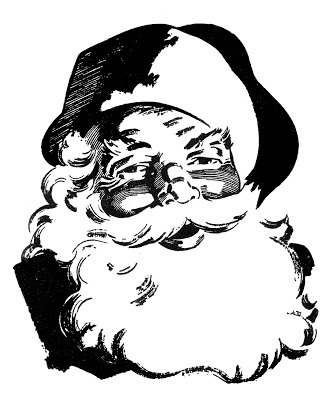 I haven’t used this Santa from Santa’s List for any of my cards this year, so I decided to bring him out and see how he would look coloured with my Blendabilities (of course!). Yep it’s another one that I can see myself colouring quite a bit. Don’t think I will ever part with him even though he’s retired! The Design Team have created gorgeous inspiration with Cindy’s sketch – so head over to Freshly Made Sketches and check them out. 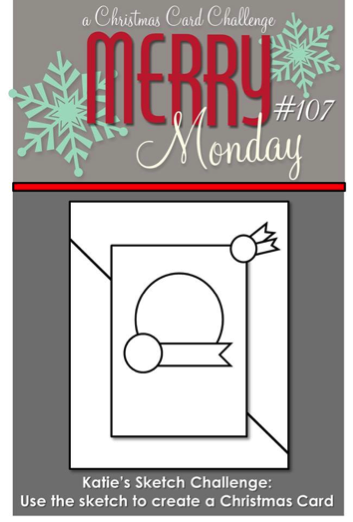 The Design Team is sure to wow you with their cards – head over to Merry Monday and check them out. Hopefully you can win a challenge like me and have the opportunity to play along with this fabulous team. Thanks for the opportunity ladies! 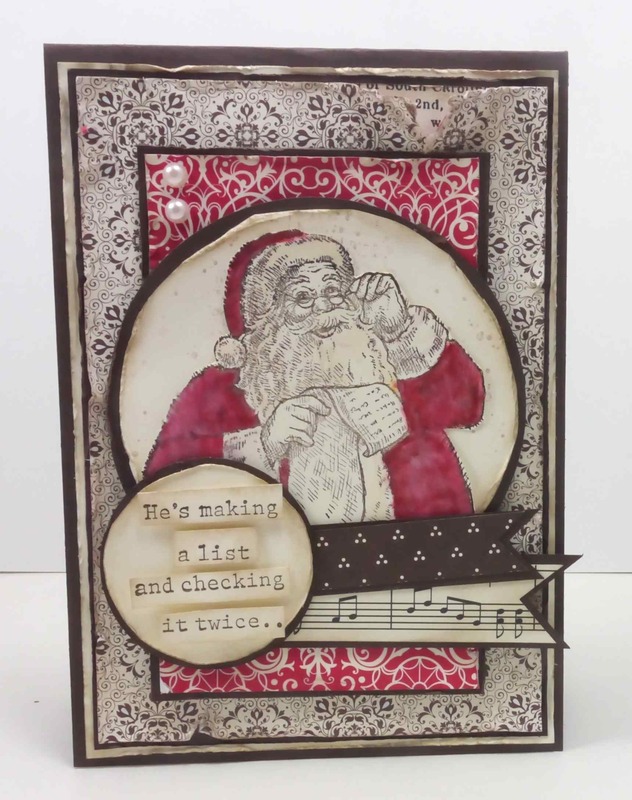 I found this weeks Cardabilities sketch really interesting and thought it was a great opportunity for me to use Stampin’ Up!s Santa’s List again before I put it away until next year. 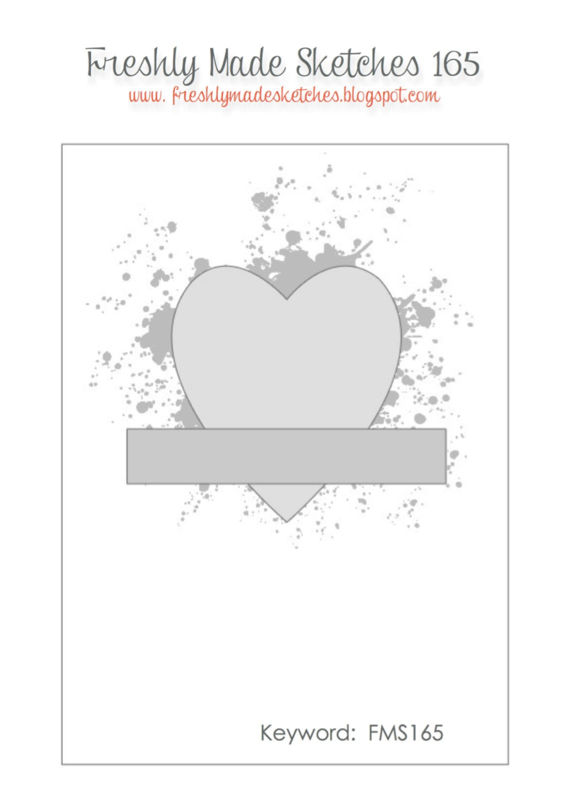 Head over to Just Add Ink and check out the gorgeous projects the Design Team have created. While you’re there, why don’t you link up a project?